At PDair we custom design a wide range of cases and accessories to suit your Alcatel One Touch Idol 3, you can be sure to find the best Alcatel One Touch Idol 3 premium genuine leather case, carrying pouch, protective holster, handmade sleeve, luxury flip cover and top quality wallet. 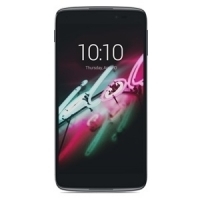 Your Alcatel One Touch Idol 3 5.5 inch smartphone is constant companion and it is only understandable that you want to keep it safe from scratches or cracks. Now you can do just that with a stylish cover from PDair.